PASTA WITH BROCCOLI AND PINE NUTS: A QUICK WEEKNIGHT SUPPER FOR DECEMBER | Jane Lear. Writing on Food and Travel. December is full of rich, celebratory food and lots of it. I’ve been enjoying my fair share, but what’s called for after yet another drinks party is not yet another restaurant meal, but something simple and nourishing at home, something I can make in a snap. Cereal does not count. What fills the bill nicely is the recipe below, for pasta with broccoli and pine nuts. Developed by Zanne Stewart while she was executive food editor at Gourmet, it appeared in a booklet put out by Share Our Strength (Its No Kid Hungry campaign is active in all 50 states) and the National Pasta Association. It certainly does. And not only is it an easy way to work more good-for-you broccoli into your diet, it renders the vegetable virtually unrecognizable to anyone who balks at brassicas. Although the recipe has been in my culinary rotation for I don’t know how long, I guess I’ve taken it for granted. I can’t believe I haven’t thought to share it until now. A bowl of this is all I really need at the end of a long day, but if you are feeding other people, a salad might be appreciated—a straightforward combination of mandarin oranges and fennel, for example, or a tangle of pungent watercress, dressed very lightly with salt, lemon juice, and extra-virgin olive oil. Bring a large pot of generously salted water to a boil. Meanwhile, lightly toast the pine nuts and cut the broccoli florets into ¾-inch pieces. 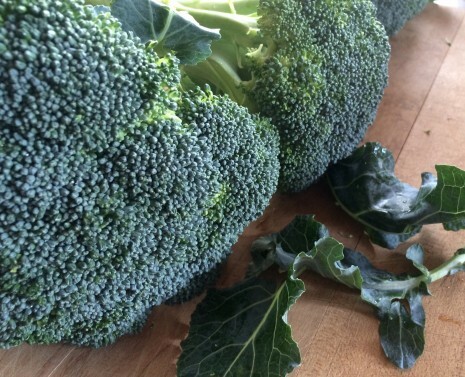 Halve the broccoli stems lengthwise (peel them first, if desired), and cut crosswise into ½-inch pieces. You should have about 6 cups broccoli. Impale 1 garlic half on each end of a toothpick. (This makes it easy to find once everything is cooked.) Add it, along with the broccoli and pasta, to the boiling water and cook 8 to 10 minutes, or until the pasta is al dente and the broccoli is very tender. Drain in a colander. Fish out the garlic and remove the toothpick. In a large bowl, mash the garlic with the butter with a fork. Add the pasta and broccoli, the oil, cheese, pine nuts, and salt and pepper to taste. Toss to combine well. I’ll be offline until January, but that doesn’t mean I won’t be keeping busy in the kitchen. You’ll get an idea of what I’m up to from the offerings below. Happy reading! 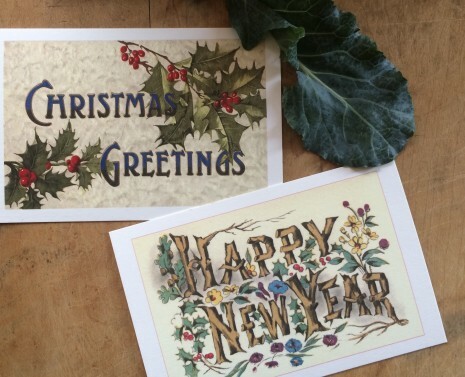 And Happy Hols to you and yours ….